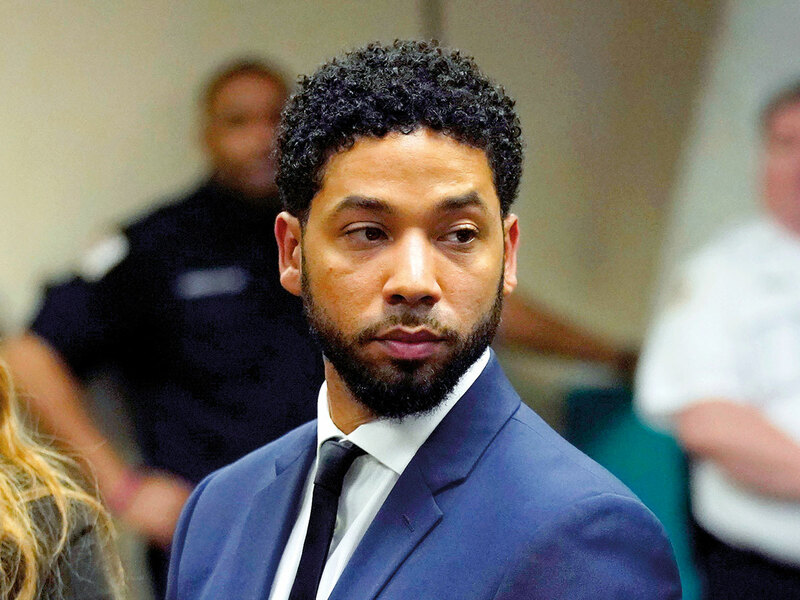 The city has said that Smollett owes it $130,106 (Dh477,788) for investigative costs and issued a bill to the embattled actor on March 28. The Thursday payment deadline passed without action and resulted in a legal threat against him. “Your letter is both factually and legally flawed, and Mr Smollett will not be intimidated into paying the demanded sum,” Geragos wrote in a response letter obtained by The Times. The city’s efforts to be reimbursed after charges were dropped are unconstitutional and lack legal precedent, Geragos said, and further litigation would violate federal and state bans on double jeopardy. However, if the city takes civil action, Geragos said he would demand access to the city’s entire investigation file, including information that hadn’t been previously disclosed to his team, along with depositions from Chicago Mayor Rahm Emanuel, Police Superintendent Eddie T. Johnson, brothers Olabinjo and Abimbola Osundairo and their attorneys. Despite all that, Geragos said that Smollett still prefers that “this matter be closed and that he be allowed to move on with his life,” echoing the statement the actor made when the charges were dropped last week. The city has not yet responded to Geragos’ letter. It’s the latest turn in the ongoing case that began in January when Smollett alleged that he was the victim of a racist and homophobic attack. After police questioned the Osundairo brothers, who were persons of interest in the case, they claimed that the attack was a hoax and that Smollett orchestrated it to advance his career. Those allegations eventually led to a 16-count indictment, which was dropped last week and parts of the case were sealed.